Jimmy Spur did the work on the guns. I have The original factory boxes. 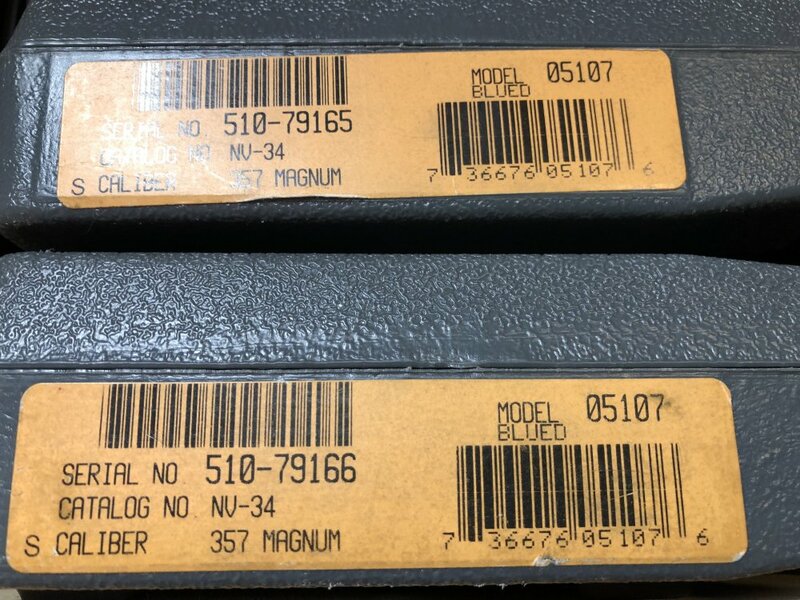 The guns were shipped with the standard blued finish. case color was added before action work. I know these guns. Should be noted that the frames were actually real bone color case hardened. 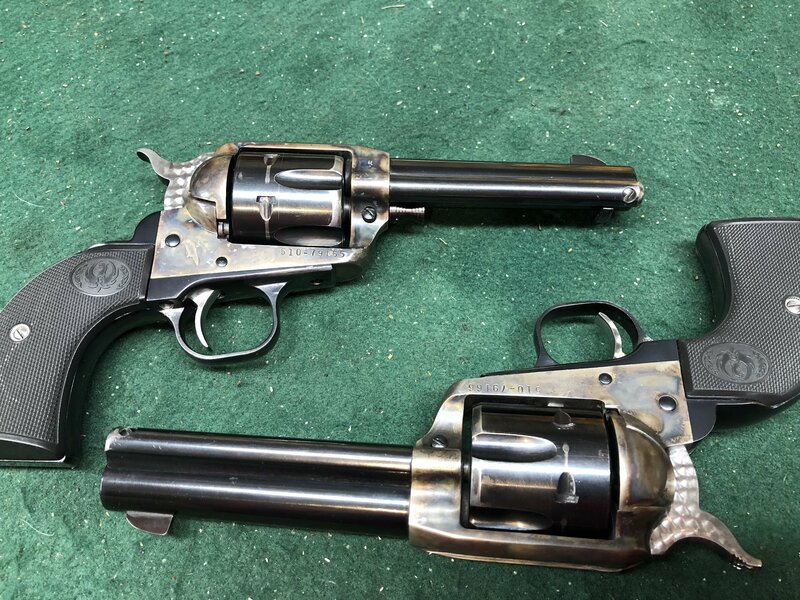 These are also 510 prefix guns which in my opinion are the best vintage of the New Vaqueros. 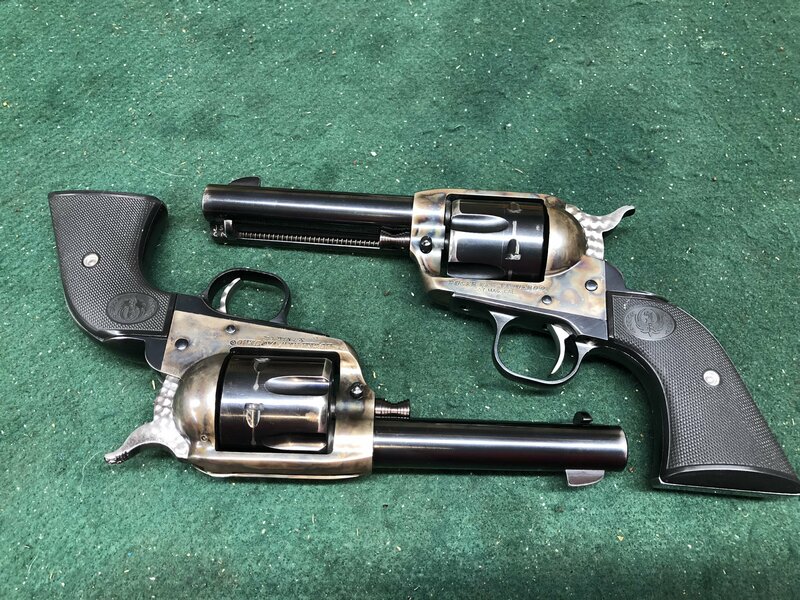 Very nice pistols that will shoot for a lifetime. That's minor holster wear-Don't mean anything as to 'use'. I believe the original owner used them 2-3 years. So they do have blueing wear on the barrel-ejector rod housing and the front of the cylinders. I purchased them when he got out of cowboy shooting. They feel too heavy for me. I shoot the Colt style guns better than the rugers. Call or text 517-617-6867 if you have questions. I would like to make sure what your saying here. 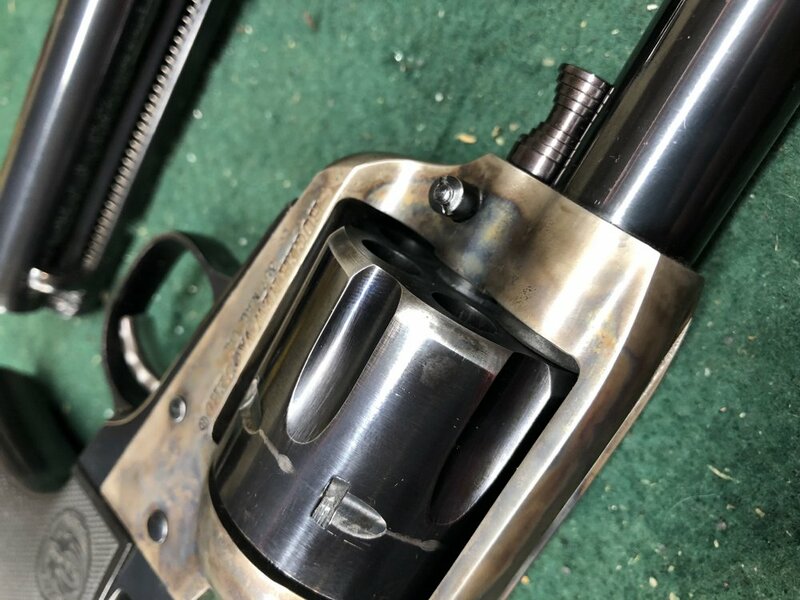 Were the guns color case hardened from the factory and then an after market, case hardened again? 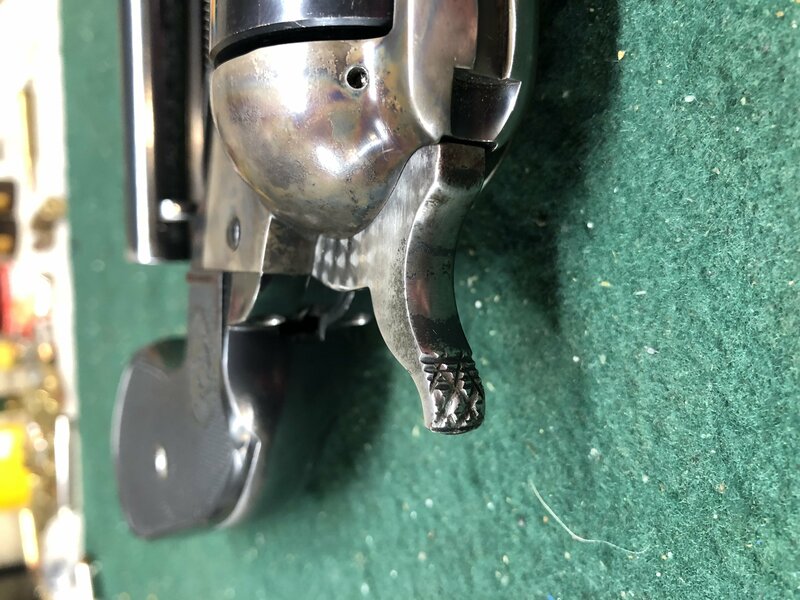 The Color casing on Ruger Vaqueros from the factory is simply a chemical faux color casing, thus the reason it does not last very long. These guns were color cased by a guy in Ohio and I believe he used the real bone charcoal method. While I didn't own them I know these guns very well and the history behind them. Thanks for the information, Deuce Stevens....That is a bonus for these guns. Just knowing Sir Jimmy built them is normally enough. Too bad they do not have 6.5" barrels on them. Deuce, thank you for the info. You probably shot and dryfired these more than I have.